It has often been rumored that Apple Corp and Apple (Computer) would finally come together and release The Beatles music digitally on the largest online music store, iTunes. Indeed, Apple has scheduled a special event in San Francisco for 09.09.09. 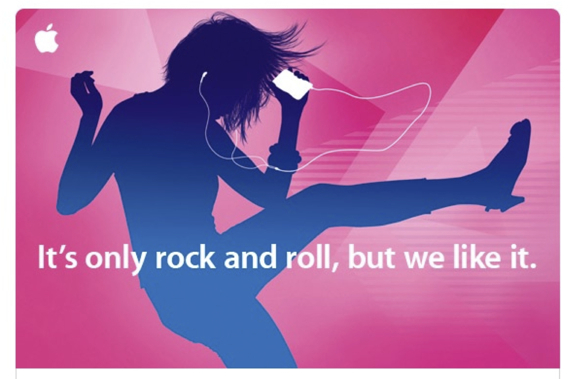 Rumors range from the launch of new iPods (likely) to a new iTablet (unlikely) but is themed around music with the cryptic title “It’s only rock and roll, but we like it.” The fact that these are Rolling Stones lyrics rather than Beatles lyrics do not dim the hopes of long patient Beatles fans who have already traveled a long and winding road. UPDATE post 09.09.09: While Steve Jobs announced new iPods, new music features in a new iTunes, and an update to iPhone OS 3.1… there was no Beatles on iTunes announcement. Of course, each of the individual Beatles is already on iTunes, but many were expecting iTunes to put the band back together. 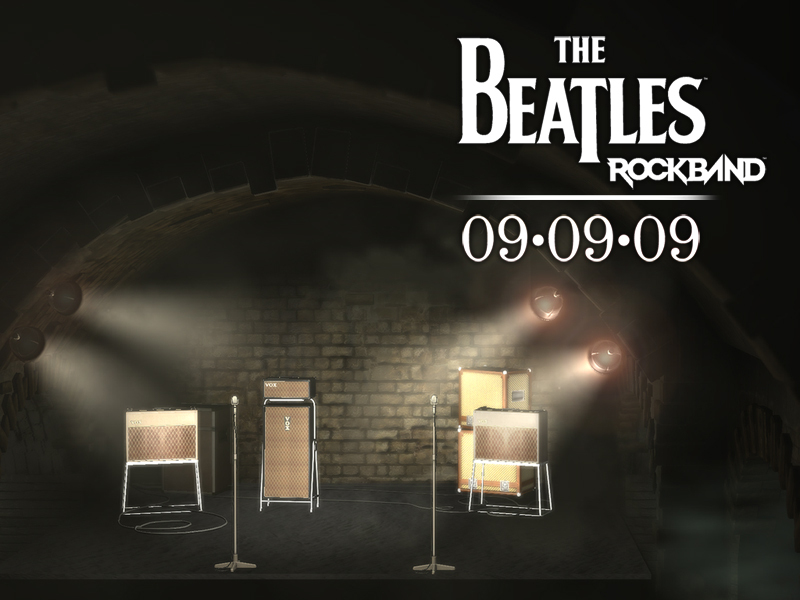 The Beatles’ music hasn’t been available digitally remastered as it will be on 09.09.09. Superior to previously released CDs, the new albums will be available for both remastered mono and stereo songs. There will be a boxed set The Beatles in Mono, and another boxed set of the 14 stereo albums, in addition to individual digital remastered stereo albums. Many of the early albums were originally released by producer Sir George Martin in mono as most people at the time didn’t have stereos. The Beatles catalog has not been digitally remastered until now, with two notable exceptions: 2004’s The Capitol Albums, Vol. 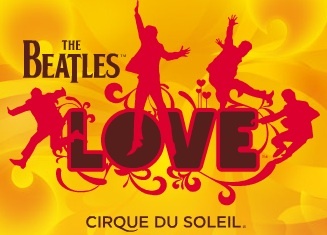 1 box set, and some music used for the 2006 “Love” Cirque du Soleil show in Las Vegas. I’ve seen the show and can say that it blows my mind. 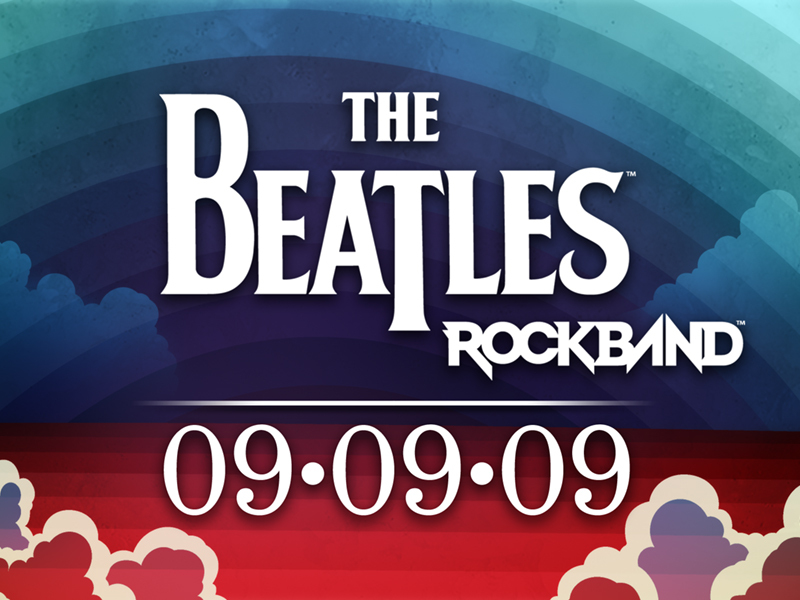 But the greatest anticipation around 09.09.09 is for the new game The Beatles: Rock Band by Harmonix Music Systems, Inc. For months pre-orders have been available and little snippets of information has been available at the Pre-Order Club to those who’ve plunked down their money in advance at www.thebeatlesrockband.com. There are also interviews, song previews and inside stories. The excitement and media coverage includes both a Twitter feed and a Facebook fan page. Guitar Hero has done lucrative deals with acts like Aerosmith and Metallica, but this appeals to a different generation. In addition to the live venues, there will be a number of “dreamscapes” for the Sargent Pepper and Magical Mystery Tour portions. There will be rare photographs, linear notes, biographical backgrounds and previously unseen videos included. With the release of this game 45 tracks will be included with additional releases to follow from MTV’s download service. Pent up demand has been great for this 1st legitimate availability of the digital remastered versions of The Beatles’ music. I recall seeing bootleg MP3 versions available 15 years ago on CD in the chop shops of Singapore. The band continues to be a best selling musical act. Indeed, their compilation of remastered #1 hits “Beatles 1” sold 29 million copies. (Yes, I know they should have included Please Please Me). For all those people who played The Beatles via “air guitar,” who grew their hair long to match the Mop Tops, whose father thought this music would never last, who thought Liverpool accents were posh, who wanted to not just Meet The Beatles but Be The Beatles… this is for you. So, what can we expect on 09.09.09? Here’s a preview from the animated cinematic scene portion of the game.